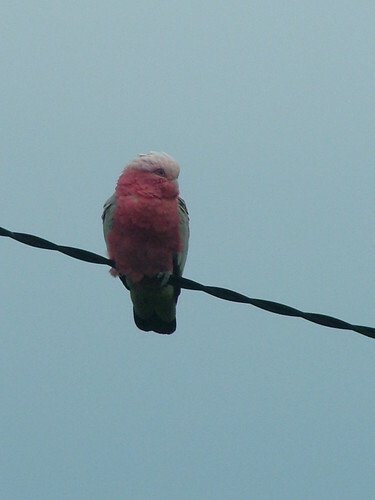 Who's out there on my telephone pole this evening? 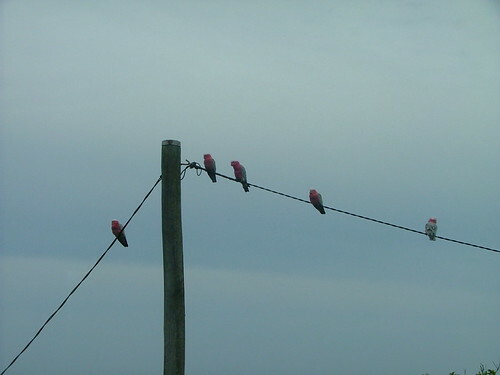 Why, it's a flock of silly galahs! 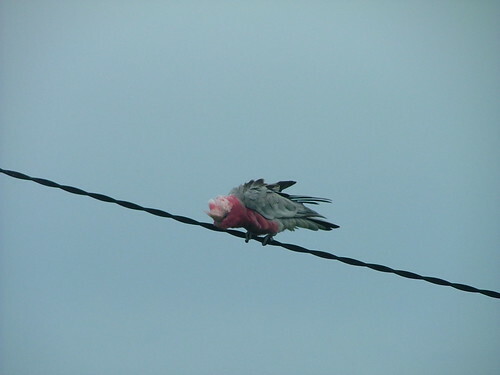 I sometimes wonder why birds think it's such a good idea to stop and rest on the lines, especially when the wind is up. 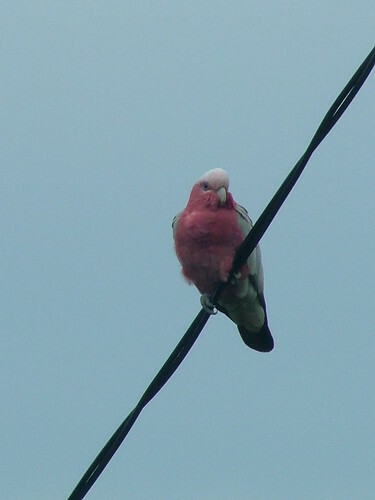 But I suppose the pole is one of the highest points around; it seems all the local bird wildlife have their own time of getting to have a bit of a sit on it before they move on again. So I guess if it's "your turn" You're going to go and have a bit of a sit up there even if the wind is determined to knock you around. I'm certainly not complaining! It's my best birdwatching/ photographing spot! 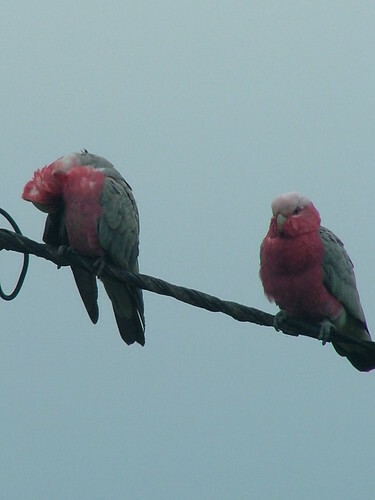 omg each bird you post is better than the last, i -love- these! There's certainly an endless supply of birds to photograph out here. I'm going to start running into reposts of species soon though. You should do this too! There's plenty of birds around Boston. Just grab your camera and go!